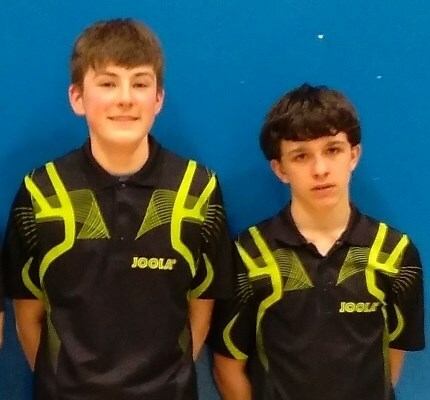 On Saturday 20th February Kyle Day and Jake Price travelled to Wood Green Academy for the West Midlands regional qualifier to compete in the Cadet (U15) category. Kyle won 2 out of 3 in his group losing 12-10 in the fifth in the game he lost. He won the group on count back, then won a testing quarter- final before losing 3-1 in the semi-final. Jake came through his group winning all of his games fairly comfortably. He then won his quarter- final and semi-final both by 3-0, knocking out the number 1 seed in the semi-final. Jake lost 3-1 in the final. They both played very well on the day losing to the 3rd seed and eventual winner who was just outstanding on the day. Their reward will be to represent the region in May as part of a team of 4. They will compete in the inter-regional competition in the team event against the other 9 regions. Special thanks must go to the excellent coaching and support they have received from the county from Richard Owens, Steve Knight, Andy Castle and Mark Owen.